The p eriodical Ars Decorativa is the yearbook of the Museum of Applied Arts, which, from volume 1, published in 1973, to volume 29, published in 2014, was a joint publication with Ferenc Hopp Museum of Eastern Asiatic Arts. From volume 30, issued in 2016, it is the Museum of Applied Arts’ own publication. The antecedents of Ars Decorativa are the Yearbooks of the Museum of Applied Arts: 13 volumes appeared as a publication of the two museums between 1954 and 1971. 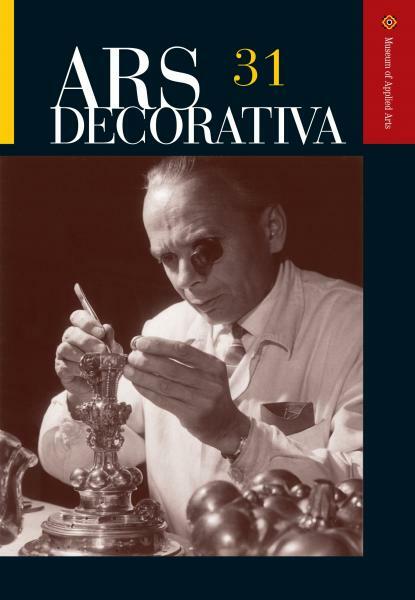 Ars Decorativa volume 31 was published in spring 2017. The main purpose of Ars Decorativa is to make the collections of the Museum of Applied Arts, their artworks and the results of the latest research related to them available to the international professional public. Studies, therefore, appear in a foreign language (most commonly in English) with a brief summary in Hungarian. An important aim of this publication is to maximally fulfill all formal criteria of peer previewed journals by using external specialists, by operating an editorial board of professionals participating in university training and publishing original publications. The yearbooks of the Museum of Applied Arts and the previous volumes of Ars Decorativa are accessible in the Hungarian Digital Library of Museum Publications, through Arcanum's Hungaricana public portal, providing browsing and searching opportunities. Other types of content exploration (and search) are provided by the analytical descriptions of the Library of the Museum of Applied Arts. The Hungarian subject names of the analytics offer a search for foreign language studies, with up to three subject terms. The studies published in the volumes cover the various genres and ages of European applied arts from the Middle Ages to the present. The purpose of the yearbook is to familiarize the Hungarian and international professional public with the results of museum research work, with the preparation of exhibitions and other large-scale research projects. There are also thematic volumes in the history of Ars Decorativa, with volume 27 focusing on textile art. The volumes regularly record the museum events of the past year and acquaint the readers with the most outstanding new acquisitions of the collections. Some of the studies, which relate to or rely on a large number of old documents from Hungarian archives, are published in Hungarian. The average length of studies is 20,000-40,000 characters, the average number of illustrations is 15 per study. Most of the authors of the studies are currently active members of the Museum of Applied Arts. However, the editorial board is also happy to receive the contribution of "external" authors who are well-versed researchers and specialists of a topic, age or genre. Editors were Imre Jakabffy (1974–1984), Éva Forgács (1989), József Vadas (1991–1993) and András Szilágyi (1994–2012). Text editing has been done by Klára Szegzárdy-Csengery since 2006. The volume has been published in 600 copies in recent years. From now on, the vast majority of the copies are transferred to the most important Hungarian and foreign libraries by the publishing institution, contributing greatly to the maintenance of the international professional relations of the Museum of Applied Arts and the international publication exchange of the institution's library.